Can I get the same Q10 used in the study? 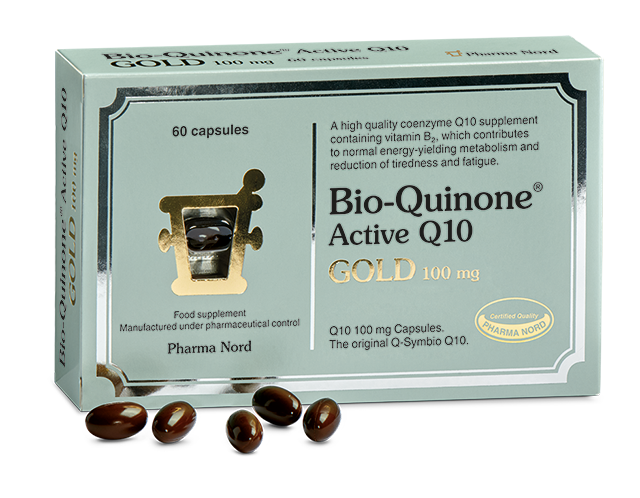 Yes, the dietary supplement Bio-Quinone GOLD 100 mg Q10 is produced in the same way as the pharmaceutical Q10, Myoqinon, that was used in the Q-symbio study. The Q10 in Bio-Quinone GOLD 100 mg is sold in countries all over the world. It has been tested and proven in more than 90 scientific studies, and it is the designated reference product in international Q10 research. Can I get more information about Q10?